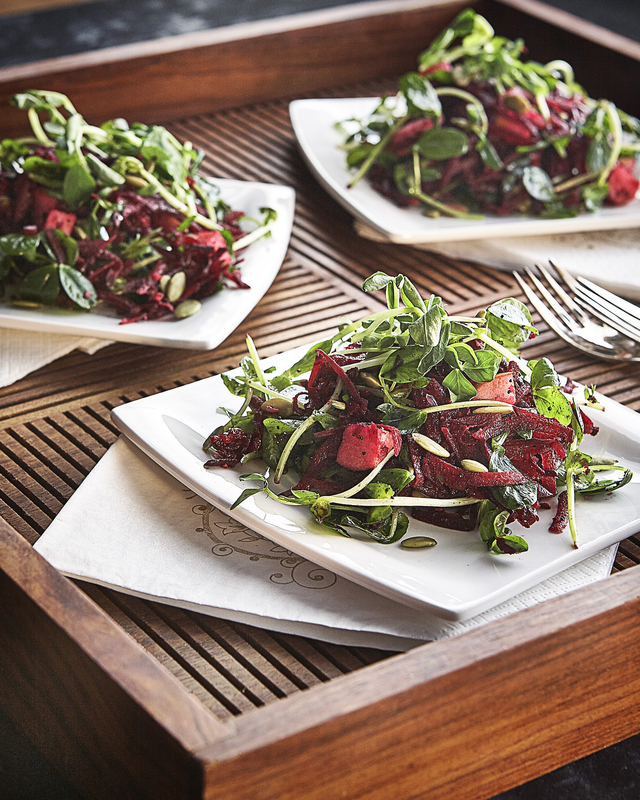 Beets are one of the best plant sources of betalains, which are potent anti-inflammatory phytochemicals that decrease the risk of heart disease and conditions associated with chronic inflammation. Pea sprouts are high in beta-carotene and vitamin A. Retinol, which is an active form of vitamin A, plays a pivotal role in the development of immune cells, which fight off the foreign invaders that cause inflammation. In a small bowl, mix together all the dressing ingredients. Pour the dressing over the salad, toss and serve. Makes 4 servings or 8 side salads. Keep refrigerated and use within 4 days. Nutritionist Julie Daniluk RHN hosts the Healthy Gourmet show, which is aired in 78 countries worldwide (ZLiving Network in the USA). She is the bestselling author of Meals That Heal Inflammation and Slimming Meals That Heal. Julie is excited to share her new book ‘The Hot Detox Plan: A 21-Day Anti-Inflammatory Program to Heal Your Gut and Cleanse Your Body’ (Hay House).